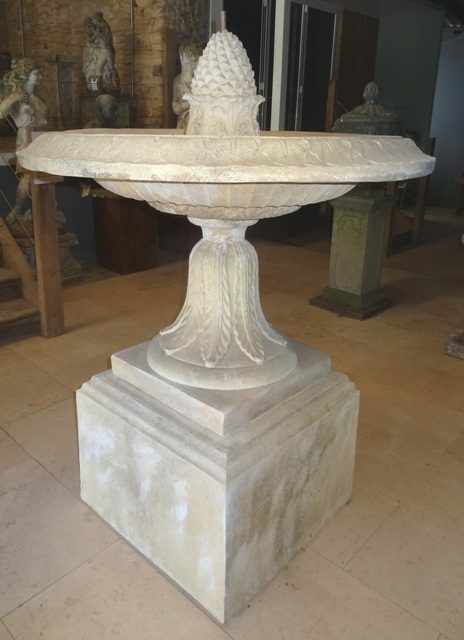 Original Architectural Antiques specialises in antique limestone fireplaces, water features, old well heads and fountains, statuary and architectural elements for the home and garden. © 2014. The Original Architectural Antiques Company Ltd. All rights reserved. 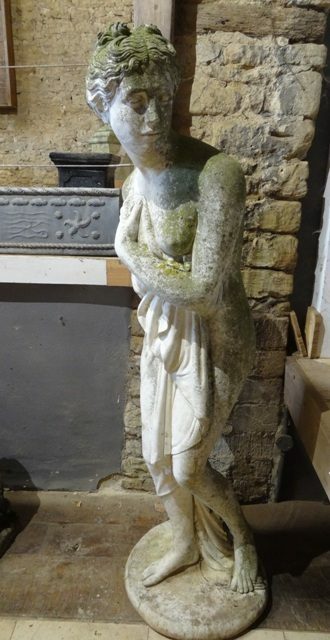 Dark Painted Composition Stone Maiden on Plinth Height: 137cm (54″), Width/Depth of base: 29cm (11.5″). Composition stone statue of figure with hunting horn on plinth. Height: 170cm (67″), Width of plinth: 47cm (18.5″), Depth of plinth: 37cm (14.5″). 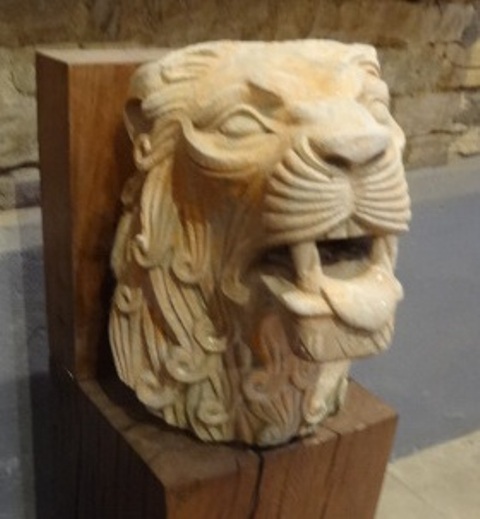 A pair of carved Vosges stone lions heads. Possibly 17th Century. Height: 53cm (21″), width: 33cm (13″). Composition Stone Statue of Boy with Mandolin on ball finial and plinth. Height: 150cm (59″), Width/Depth of Plinth: 40cm (16″). Frostproof Composition Stone Fountain Height; 170cm (67″), Diameter at Rim; 115cm (45″), Width/depth of base; 70cm (27.5″). 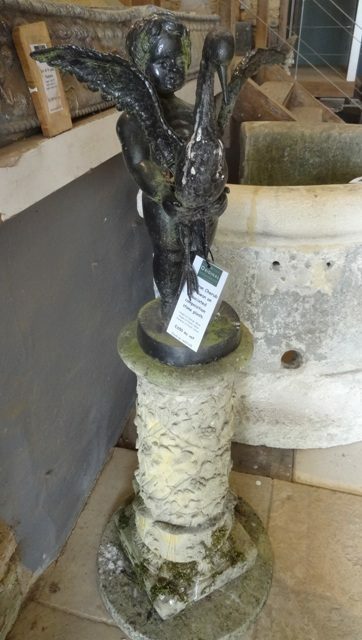 Cast Iron Cherub with Swan on associated composition stone plinth. 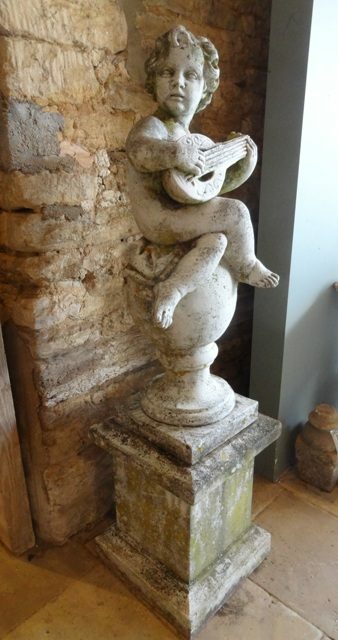 Height of Cherub: 50cm (19.5″), Height of plinth: 69cm (27″), Diameter of plinth: 43cm (17″). 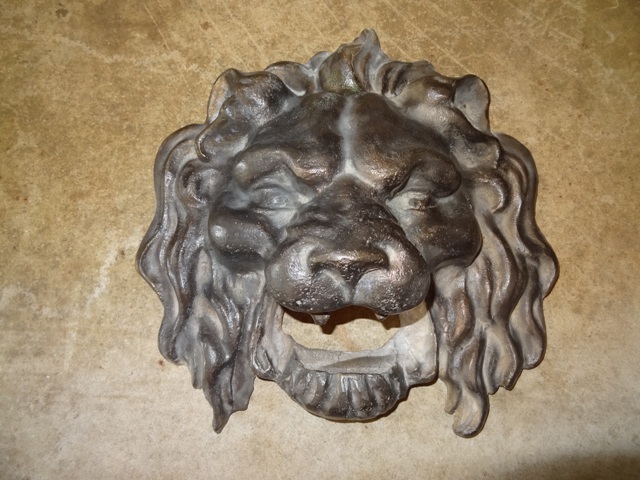 Bronze Lions Head Wall Spout. Height/Width: 26cm (10″). Composition stone statue of Pandora looking to Sinister. Height: 158cm (62″), Diameter at base: 46cm (18″).